at The Village Center, Antipolo. First, the event called ShowBIZ slated for the 28th, has "It's a Dog's Life Caravan," which honors not just man's best friend, but our feline companions as well. 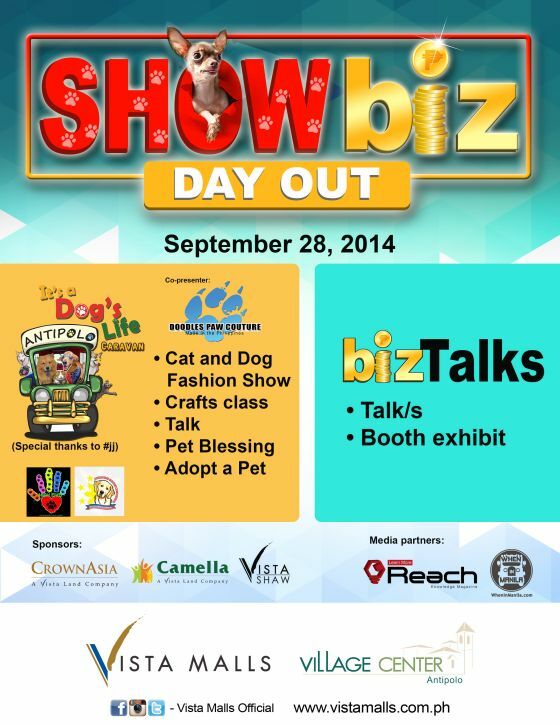 Bring them over for a Pet Blessing, a Cat and Dog Fashion Show by Doodles Paw Couture, and a Crafts Class. And, if you don't have a pet yet, the event may just lead you to bring one home. Yes, you can Adopt a Pet on the spot and allow your new furry friend to bring out your nurturing qualities, open up your heart, and flood your home with love. Second, you've got bizTalks, a must-attend event with talks on business opportunities and a booth exhibit to help you do just that. The time is NOW. A Thomson Reuters/INSEAD survey revealed that business leaders and analysts had an “exceptionally sunny disposition of Philippines businesses;” in Bloomberg, Hong Kong-based chief economist for Asia at Deutsche Bank AG pointed to the country as being strongest in Asia; and in Foreign Policy, Greg Rushford called us Asia’s Next Tiger. Having done well in international credit ratings and industry lists in the past couple of years, we not only are allowed to momentarily pat ourselves in our collective back, but more so, take advantage of this economic growth. 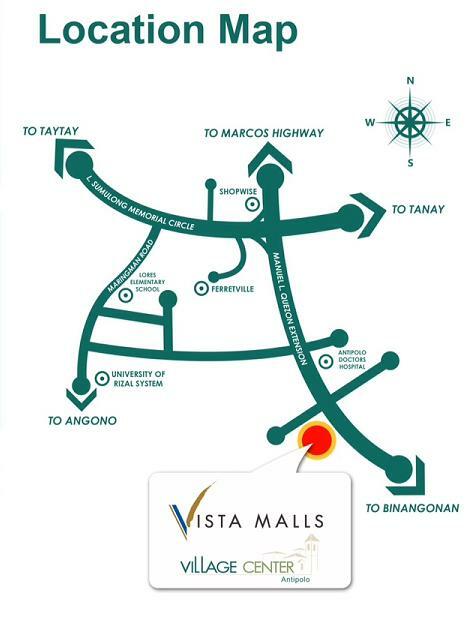 Vista has five unique lifestyle centers, where you can establish businesses that can employ people, satisfy underserved markets, and, yes, turn a profit. More than just the business, we’re helping spread the wealth. With ShowBIZ Sunday, let’s show other communities how we have fun, open up opportunities, and really, spend a productive, and leisurely, Sunday. Remember, not everyone lives in a Vista community.